At Carnegie Mellon, I worked with my advisor, Professor Dan Siewiorek on how user interactions can impact the energy consumption of mobile computer systems. My research interests include mobile and ubiquitous computing, energy awareness, human-computer interaction specializing in cognitive modeling, and software engineering with a focus on performance. 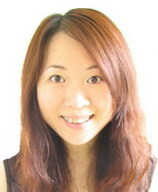 Dr. Luo currently works as a member of the Think Tank Team with Samsung Research America. Marcel C. Rosu, C. Michael Olsen, Chandrasekhar Narayanaswami, and Lu Luo, PAWP: A Power Aware Web Proxy for Wireless LAN Clients. In Proceedings of the 6th IEEE Workshop on Mobile Computing Systems & Applications (WMCSA 2004), UK, December 2004. M. Rosu, C. Olsen, L. Luo, and C. Narayanaswami, The Power-Aware Streaming Proxy Architecture. In Proceedings of the First International Workshop on Broadband Wireless Multimedia: Algorithms, Architectures and Applications (BroadWim 2004), San Jose, CA, October 2004. Asim Smailagic, Daniel Siewiorek, and Lu Luo. A System Design and Rapid Prototyping of Wearable Computers Course. In Proceedings of 2003 IEEE International Conference on Microelectronic Systems Education, 1-2 June 2003, pp. 80-82. Subu Iyer, Lu Luo, Robert Mayo and Parthasarathy Ranganathan, Energy-Adaptive Display System Designs for Future Mobile Environments. MobiSys, Proceedings of the First International Conference on Mobile Systems, Applications, and Services, San Francisco, May 2003. Lu Luo, Fault Manifestation Model for Predicting Anomalous System Behavior. International Conference on Dependable Systems and Networks (DSN), Bethesda, MD, June 2002. Student Forum.